Whether it’s in the middle of a snowstorm or an unrelenting downpour, gear failure always seems to happen unexpectedly and at the worst possible moment. It could be a broken tent pole the night before a summit attempt, or a clogged water filter in the middle of the desert–either way the most mundane gear failure can end a trip or worse, be dangerous. 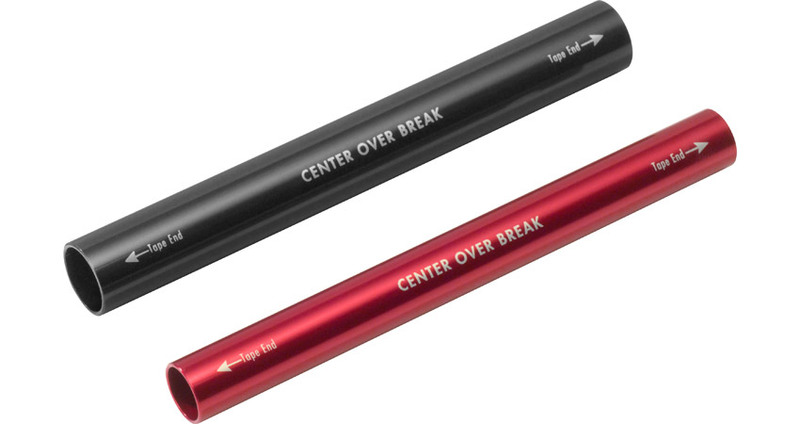 But packing the right tools can help minimize calamity. After consulting our veteran technicians in the MSR Repair Shop, we’ve compiled a list of must-have emergency gear repair items so you can repair your gear on the go. While duct tape can be a great catch-all repair kit addition, for fabric-specific repairs bring Tenacious Tape. Made with an adhesive that permanently bonds nylon, plastic and rubber, it’s great for mending rips in tents, tent footprints, sleeping pads and outerwear. When repairing your gear with Tenacious Tape, make sure to clean up the tear thoroughly with isopropyl alcohol or soap and water. Isopropyl is effective for cleaning everything except waterproof items like tent flies where it will damage the waterproof coating. Next, cut a patch with at least ½ inch of clearance on all sides of the hole. Round off the corners of the patch to decrease the likelihood of peeling and apply the patch carefully to avoid air bubbles and ensure adherence. Light, strong and cheap, a bundle of zip ties is an indispensable addition to the backcountry repair kit. Backpack strap break? Grab a zip tie. Shoelace shred? Guyline snap? Zip ties to the rescue. Make sure that you buy industrial strength ones as the truly cheap ones tend to degrade over time and in the cold. For obvious reasons, we usually like to pack multipurpose items in our kit. A tent repair sleeve, or splint, is the exception to the rule; it does one thing very well. Though you can jerry rig a stake and duct tape into a workable fix for a broken tent pole—there’s just no better way than using a tent repair sleeve. To get started, straighten out any bends or jagged edges in the poles as best you can and then line up the broken sections. Slide the sleeve on and center it over the break, then wrap duct tape liberally around each end to keep it in place. Voila, break repaired. Our repair technicians highly recommend this tiny tube of magic. A liquid version alternative to Tenacious Tape, it requires just a few drops to the rip or tear in your waders, rain jacket or tent and will cure in seconds to a flexible, waterproof finish. As with any fabric repair, make sure the surface is clean and dry before applying. 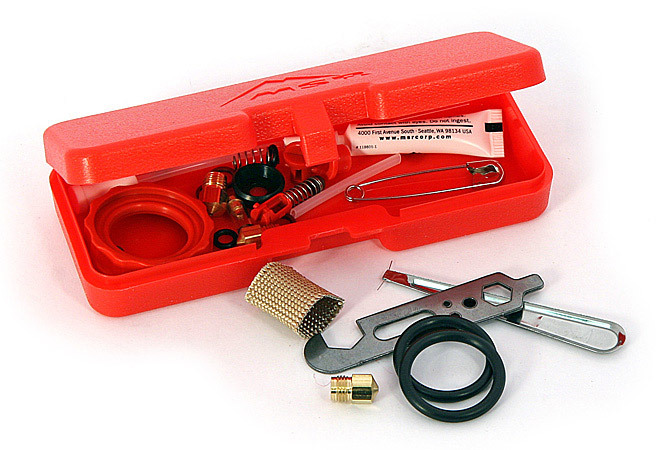 If you’re using a liquid fuel stove like the WhisperLite, XGK or Dragonfly, make sure you pack an Expedition Service Kit and learn how to properly perform field maintenance with it. If you’re using a canister stove, there’s not much you can repair in the field—cross-threading due to force is the most common breakage and is nigh impossible to fix. When you’re putting together your stove, take a couple extra seconds to seat the canister thread by turning it in reverse until it pops into place. Then continue turning the correct direction until the canister is secure. To reset the thermal trip safety mechanism in our WindBurner system, first wait for the stove to cool. Disconnect the fuel canister and insert a leg of the stand into the stove’s mixer tube. Rotate the leg clockwise and press downward until there is a click. Close the flame adjuster, reattach the fuel canister and reignite. View our Stove Maintenance and Tips playlist here. Forget thread—fishing line is the best way to mend in the backcountry. Pack a spool and a couple of heavy-duty sewing needles and you will be ready for any rip, tear or puncture that can’t be solved by Tenacious Tape alone. Voile straps are multipurpose, strong and durable. Use them as a binding replacement strap, as part of a splint, as a last-ditch mechanism to keep your… you name the problem, these straps are likely part of the solution. They’re available in a range of sizes and lengths. We carry 2-3 depending on the trip type. 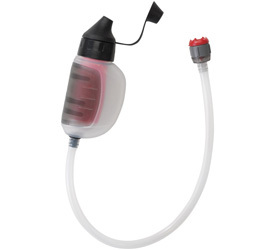 In-field filter maintenance is usually limited to two things, removing and re-lubing O-rings, and backflushing. The first step is to pack the specialized maintenance kit for your water filtration system of choice, and the second step is to learn how to use it. Regardless of the system, be sure to backflush your filter early and often, every 8-10 liters or less if the water quality is particularly turbid. This will remove debris and extend the life of the filter. Backflushing is very easy to do. 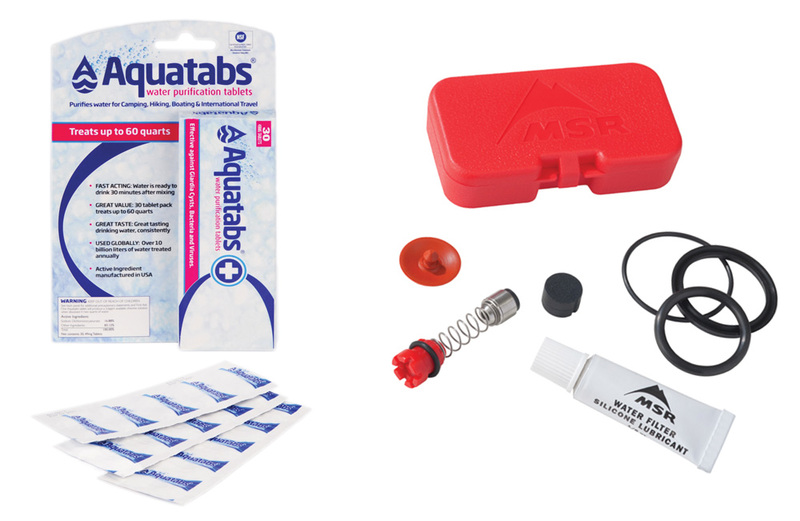 In the event of drops or catastrophic breakage, our techs also recommend bringing a pack of Aquatabs (effective against viruses, bacteria and Giardia cysts, but not Cryptosporidium). While this might seem like a cowboy’s addition to the repair kit, we assure you that a little bit of baling wire will truly help you out in a pinch. It can provide the strength and rigidity to fix a ski binding, and the flexibility to serve as a makeshift buckle. We recommend bringing a small roll. 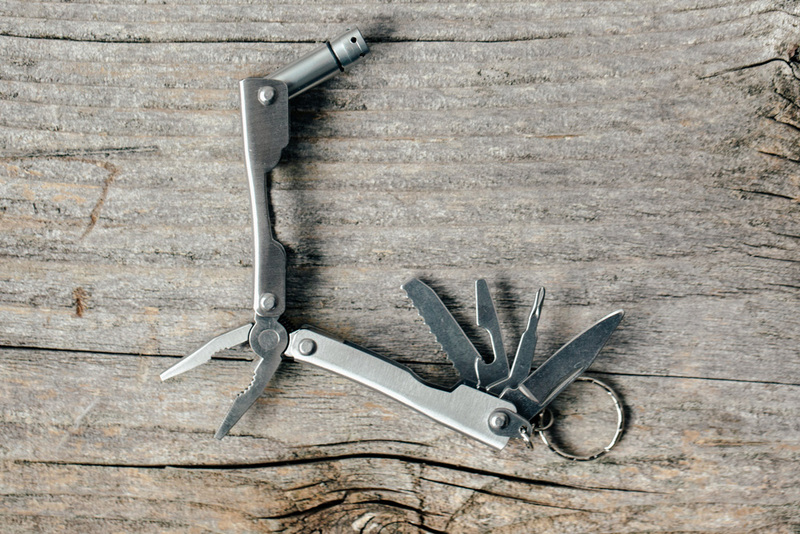 A great multi-tool is worth its weight in gold. Use it for splicing, dicing and rectifying. There are a ton of good tools on the market, so shop around for one that fits your budget. It doesn’t need to have 20 awl variations on it, but a good pair of pliers and a couple of different knife options are must-haves. We take pride in the fact that MSR gear is specifically engineered for long-lasting durability; still, you should always be prepared for unpredictable outdoor conditions and events. Field repairability is one of MSR’s design philosophies. Carrying our service kits and replacement straps help equip you for the unexpected. And whether you’re packing for a weeklong hut trip or the entire PCT, make sure to try out your repair items before you leave home. Knowing how to perform basic maintenance on your gear will not only lengthen its lifespan, but will also bring you confidence in the field. As always, if you have MSR gear repair questions, feel free to drop by or contact our Seattle Repair Shop at 1-800-245-2992. We stand behind everything we make and our service technicians are happy to work with you to find you a solution as quickly as possible. 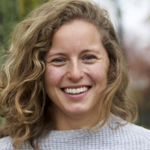 As a freelance writer and designer, Claire Montana Jencks works with outdoor brands, non-profits, and publications to share stories of outdoor adventure. Though she works all over the world, her roots are in the PNW. Surfing, mountain biking, and skiing are her passions.